Social networking is rapidly changing the social norms of our society. Untill now you were making friends through your friends or your relatives or during study or in your work place or around your home. But now you have another medium to make friends, the social networking sites. For the first time user it may sound a bit strange to talk to someone you cannot see but this is the way friendship is being offered on social networking sites like Facebook. 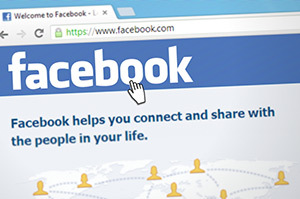 There are many reasons why the social networking site Facebook has become so popular, especially amongst the youngsters. All you have to do is develop your profile on the social networking site. You need very little knowledge of the internet to do that, often with a little trial and error or a little guidance you are successful. One benefit of social networking is that you do not have to search for friends. You have hundreds and thousands of members waiting to be your friends. Moreover, before making friends with someone you have the opportunity to learn about that person with whom you are making friendship, through his or her profile. This is never possible with traditional friends. Another reason for joining social networking is that you usually do not have to pay anything to take a membership. Facebook membership is given free of cost. There are some sites which charge some fee to register new members; this is usually done to eliminate the members who choose to become a nuisance for others. Moreover, most of these paid sites like Classmates, offer a free time to prospective members to see if they wish to remain as members with the facilities and members they offer. You can choose to relinquish your membership if you are dissatisfied. There are many other things that you can do on the social networking site besides making friends. You can join groups of interest where you can engage in hobbies and pastimes of mutual interest and also exchange information on any subject. The area of interest could range from politics to religion to sports to music. By making new friends on social networking sites like Facebook you not only broaden the horizons of your knowledge but you also have access to information on various subjects. You can use the networking site to build business or service relationships which pay you handsomely at the end of every month. Therefore, seeking friendship over social networking sites is a good proposition for any adult who wants to make steady friends as well as develop business relationships. Get your 55-page guide on social media marketing!